Do you want to start a business in the health industry? If so, medical equipment business is the best option to tap into the healthcare industry. Due to all kinds of medical professionals, from veterinarians to midwives and eye doctors, need specific supplies to do their jobs. Establishing any business requires funding. Medical equipment can be particularly expensive since they are based on the newest technology. 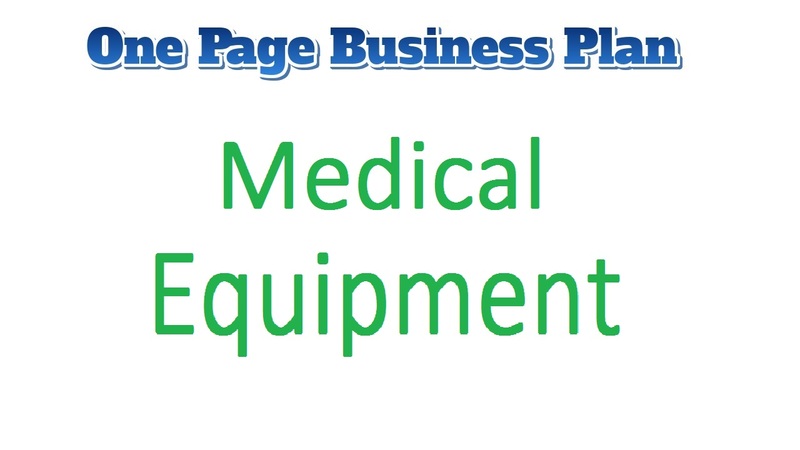 The kind of medical equipment you plan to sell will dictate the amount you will need to start your business. For instance, if you intend selling motorized wheelchairs, you will need around $30,000 to acquire the first dozen wheelchairs you will sell. Although, if you will be selling cheaper medical products, such as thermometers and blood pressure monitors, etc. You may be able to kick-start your business with about $10,000 or less. Whether you will buy the space you need or lease a shop, the location is of utmost importance. For example, if you plan to sell supplies used by doctors and other healthcare professionals, you must choose a place where there are a good number of hospitals. Having acquired your startup capital, you will need to register your business as needed by your federal or state government. Find out more on how to go about the registration process, as it changes from location to location. In few places, licensing is required to sell certain medical equipment. So, you will also need to call the health department in your state to know about if you need to be licensed to sell the types of equipment you are interested in selling. Since you will not be manufacturing the medical supplies yourself, you need to find manufacturers or suppliers from which you can buy them. While some brands can be bought directly from the manufacturers, others can only be purchased from specific distributors due to contracts between such distributors and the manufacturer. You can contact distributors online and in business directories. Although you may be able to run the business on your own from the outset, you will later need someone to assist you, especially as the business grows. Hiring at least one staff member to help make it easier for you to run your business, it will allow you to take breaks, pursue supply contracts or go on vacation whenever you feel like. Though, you must bear in mind that the success of your business can hinge largely on the competence of the staff you hire. So, plan to hire the best employees so that they will contribute to the growth of your company. With everything set, you can start promoting your business to create awareness. Without advertising, no one will know about your business. Even though there are many avenues for online and offline advertisements, you should consider only those avenues that will help you reach your target market. For instance, if you sell wheelchairs meant for frail seniors, then you should consider advertising in the newsletter of senior centers. Or, if you sell top quality stethoscopes, then consider advertising in online forums for doctors or medical journals and magazines. Your target markets are the hospitals. Make a deal with the hospitals which are just opening and have not opened fully. These hospitals are in dire need of medical equipment. So if you can make a deal of supplying them your equipment you can a huge amount of money. The word medical itself says you need education. Even though this business does not require much education, but for you to have a knowledge of what you are selling can be beneficial for you. Or you can also get some information online. The business is easy to run and makes a huge amount each year. Supplying the best equipment to the hospitals. Keep a good relationship with the suppliers and with customers.